Wovember — our month-long celebration of WOOL is now drawing to a close. 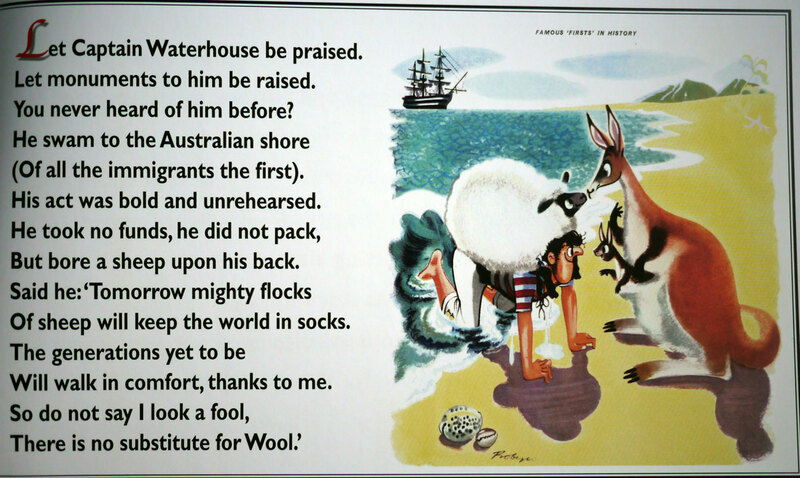 Today, it is very easy to use the internet as a platform for a campaign, but in the 1950s, the Woolmark Company / International Wool Secretariat had a rather different idea to publicise the virtues of wool. 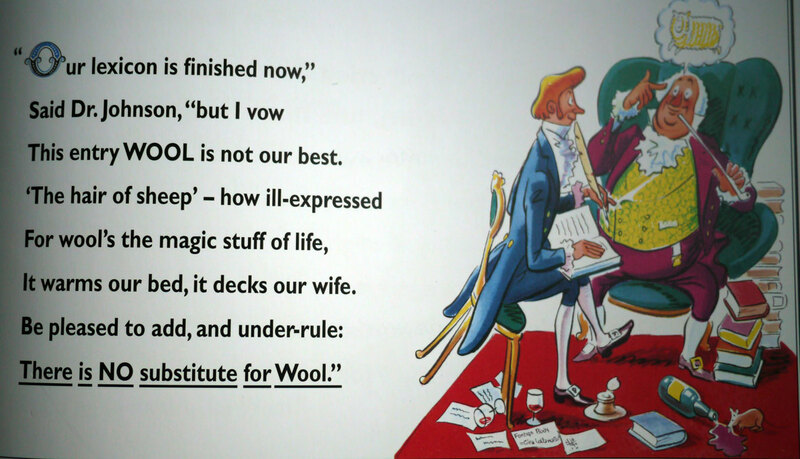 They held a competition in which members of the public were invited to send in poems, ending with the line “There is no substitute for wool”. Winners received £5, and their poems appeared as illustrated advertisements on trains and London Underground carriages. 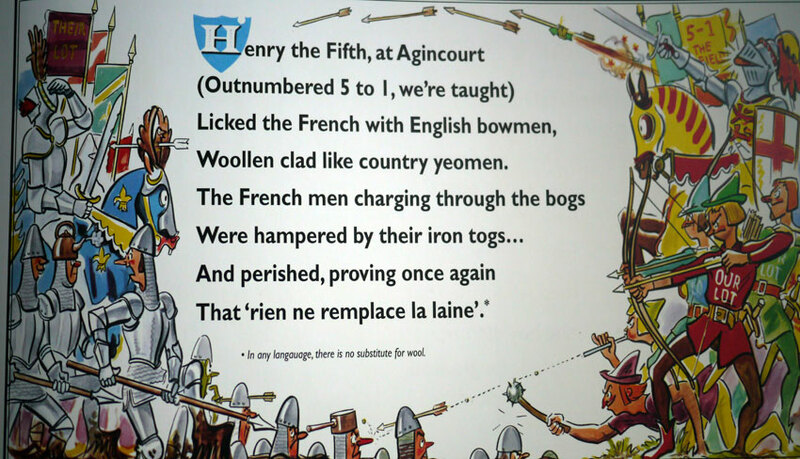 These verses quickly achieved a sort of national currency and people who grew up in the 1950s still clearly remember the rhymes of the ‘no substitute’ campaign today. 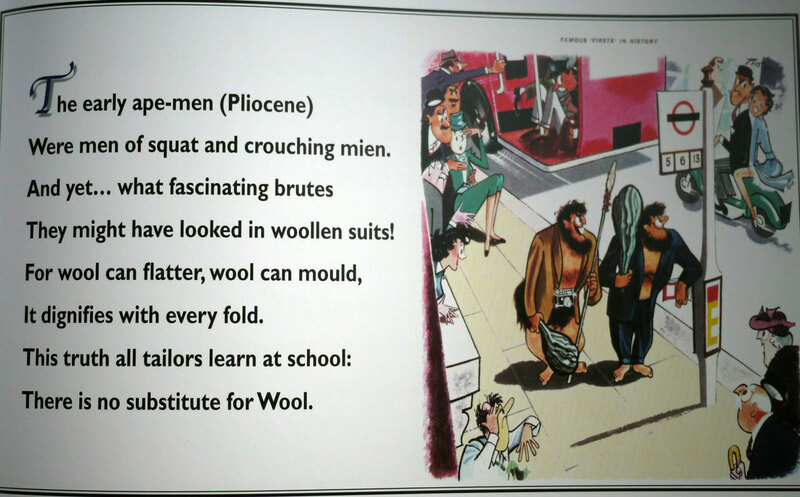 In the majority of winning verses, popular historical figures extoll wool’s many virtues: Leonardo da Vinci fails to invent a sheep; Guinevere knits stockings for the knights of the round table; Nelson insists that his crew are completely wool-clad; a naked Venus is told to wear woolly underwear to ward herself against the chill night air. Other verses — with their references to sputniks, Danny Kaye, ‘squares’ and ‘hipsters’, and a very particular sense of Britishness — speak of their moment in an often intriguing way. In 2005, Richard Proctor compiled the “no substitute” verses into a book which he published in association with the Worshipful Company of Woolmen in 2005. The book once had a website, which no longer seems to exist . . . but I urge you to seek it out. 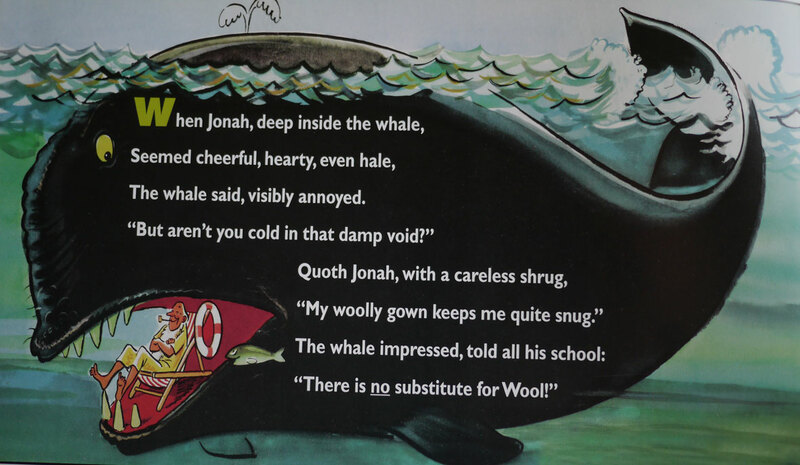 In the meantime, here are some of our favourite ‘no subsititute’ verses. “Ye ink is frozen in my quill. A breed of crease-resistant sheep. And sell them to the Sassenachs. You’ve nae seen sheep with baggy knees! There’s still no substitute for wool. 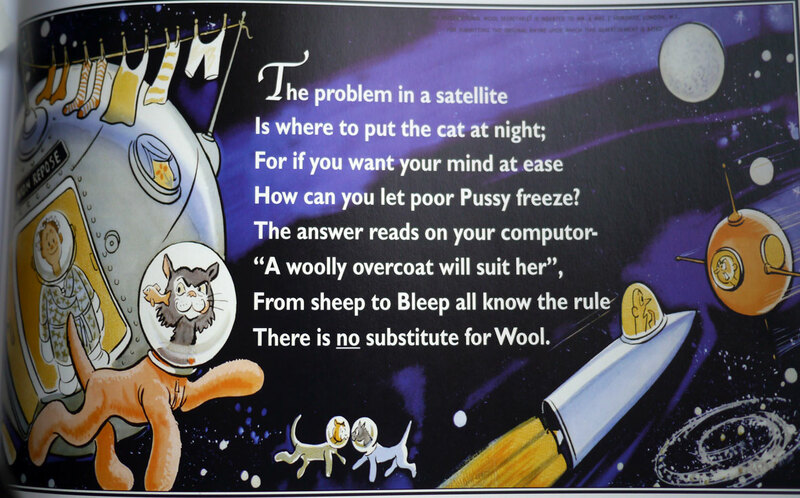 There is no substitute for wool! When May grooved in, in woollies sheathed. Because her jive is really hot.